At our March meeting we distributed free frags of cyphastrea and many other LPS frags. 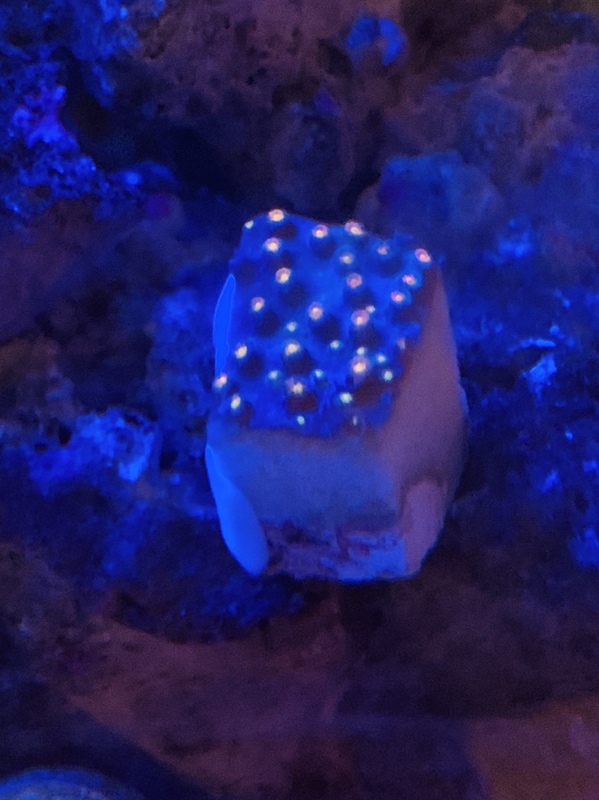 Since we had the most frags of the cyphastrea we decided we'd do a little grow out contest. To participate you must be a supporting member. If you're not please consider joining, it pays for itself many times over . The Prize: Bragging rights with a cool banner under your screen name... and a 100 dollar gift certificate to the sponsor of your choice. How to Participate: You must post a beginning pic on this thread before 4/1. The contest will run for 3 months. Please post a followup pic at the end of each month. The contest will end on 7/1. Please post a final pic at the end of the contest and then we will allow the participants to vote on the winner. Yes you are allowed to vote for yourself. Boo! Any frags left for a non-attender? If not count me in for the next contest. These are fun. My frag is recovering nicely. Good polyp extension. However, I think I am out of the contest as mine has a way to go to recover to gowth stage. I picked a frag that must have been in the shade as there does not appear to be any base flesh... I'll enter my name in the "it's still alive" contest! oh man, my cyphastrea was so beat up by the saw that it began to peel off during the meeting. i will see if it survives at all. Welcome to the "it's still alive" contest! Here's my meteor shower frag. I 3D printed the head of a predator. I think it will be so cool if it covers him. It took some effort to weigh him down to keep it in place! Wow super cool guys! Entries close soon! Here is mine. Not very creative, I'm more interested to compare against others at the end. Here is a snap of my beginning piece. Still looking for the item to encrust.